There are not many similarities between Mixed Martial Arts (MMA) and football in terms of the rules and playing styles. However, they are both sports that many people all over the world enjoy. MMA is a full-contact combat sport. Unlike other combat sports, MMA involves and allows striking and grappling an opponent, both standing and on the ground. In MMA, martial artists, use techniques from various combat sports and martial arts. Mixed martial artists need to be physically strong, lightning fast and agile. There are some famous football players who would be good MMA fighters. Let’s find them out. The legendary Portuguese defender was known to be a physical, tough and aggressive player during his prime. He was also very prone to violence and got in many brawls with players. Pepe would also make an excellent MMA fighter, because of his imposing physical presence that he used to bully strikers. Next on our list is none other than Ibracadabra! Zlatan Ibrahimovic had the repertoire of a professional martial arts fighter. The Swede was 6’5 tall and practiced martial arts in his leisure time. He is known for scoring martial arts-esque goals that will make your jaw drop. 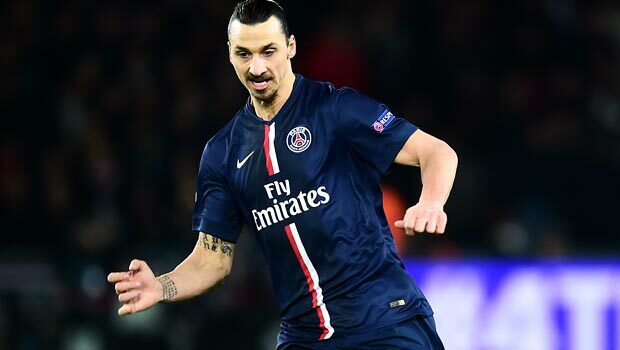 Ibrahimovic will definitely be a perfect fit if he ever participated in Mixed Martial Arts. Joey Barton is an obvious choice no doubt. Barton is a street fighter and a rogue in the pitch. He was brought up in a rugged area in Liverpool. Even as a child, Barton engaged in boxing. Thus, if you add that with his aggressive personality, fearless attitude and love of violence, he would likely be a force to reckon with if he tried his luck in the world of combat sports. Pogba is built like a fighter. He incredible French midfielder possesses a huge frame, incredible strength, and a tough mentality. There’s no doubt that Pogba will succeed as an MMA fighter. Wayne Rooney was a promising boxer during his youth. He comes from a family of boxers and possesses the attitude of one. The English football player is aggressive, strong and has great speed. He would make an excellent MMA fighter.